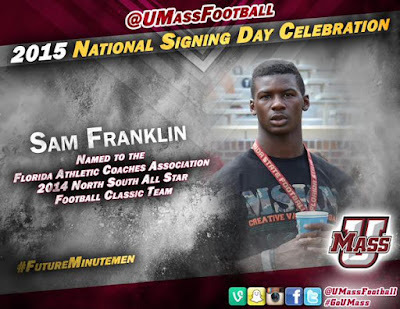 The next to last day of 2015 ended with a bang as UMass received verbals from three recruits. Martin Mangram tweeted he had verbaled to UMass. He had fourteen other FBS offers including Iowa, Illinois, Wake Forest and more. 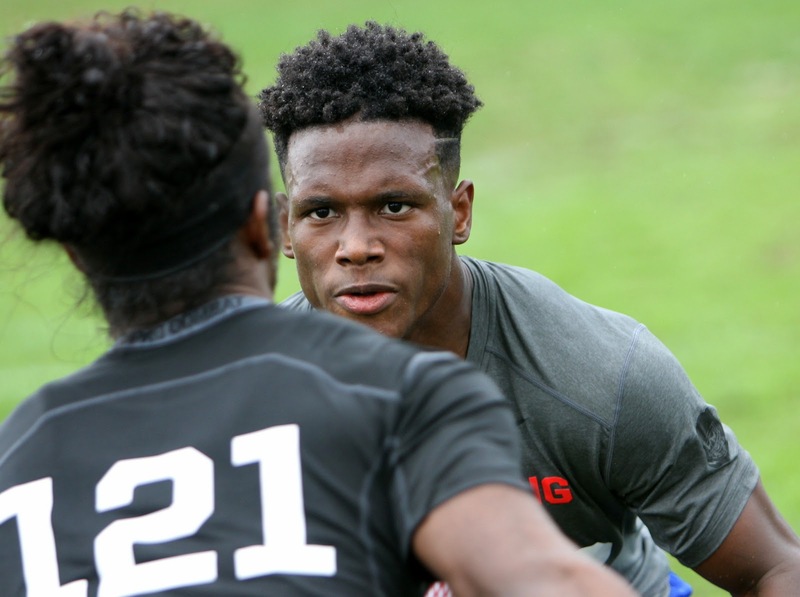 He's a 247Sports three-star player. 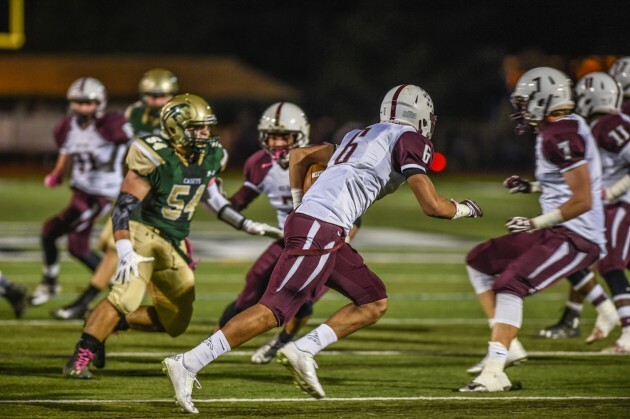 Bilal Ally also Tweeted his commit to the Minutemen. He's also a 247Sports three-star recruit. 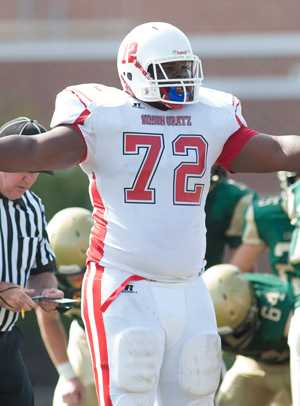 Also verbaling to UMass was OL/DL Zuriel Davis. 247Sports currently ranks (without three-star recruit Ally included) 89th in the nation. That's one notch ahead of UConn and third in the MAC. That's an outstanding result. With Ally added UMass should be in the mid to low 80's, which would be right there with most Group-of-Five teams. If the Minutemen should add another two or three three-star recruits, UMass would be in low-level Power Five ratings. Either way, it's the best recruiting class in UMass history. The 2016 schedule is insane, but after that brighter days are coming for UMass football. 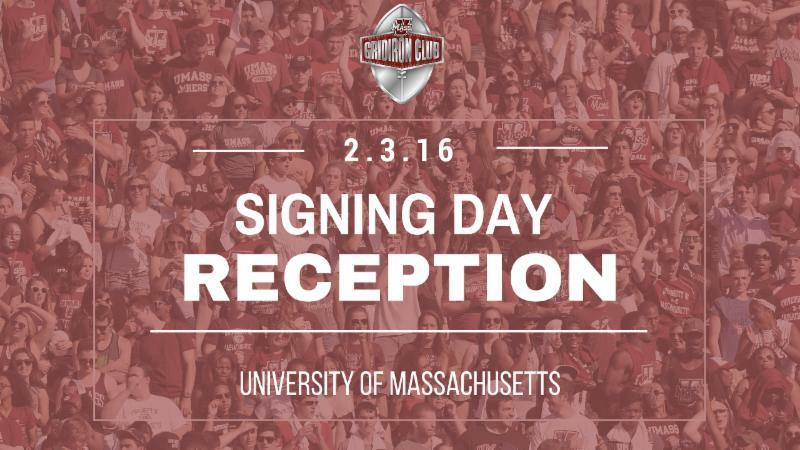 It's a big recruiting weekend for the Minutemen. I'll focus on player visits in today's blog and maybe do the staff changes and other news tomorrow or Monday. Bob McGovern has a list of this weekend visiting players. I've blogged about several of these players before. Leyshawn Askew is a 6-6 DT from Wayne Hills, NJ. He verbaled to UMass back on July 25th. Since my last post on Ashew, Hudl.com has senior highlights. I blogged about T.J. Rayam, a 6-1 290 pound DT from Alabaster, AL yesterday. Bilal Ally is a 5-10 185 RB from Green Cove Springs FL. 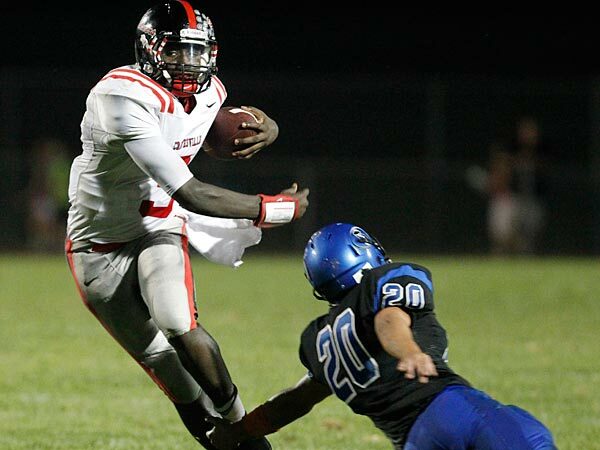 Ran for a Florida playoff state record 496 yards in one game. Ally holds nine offers including Cincinnati and Georgia Tech. 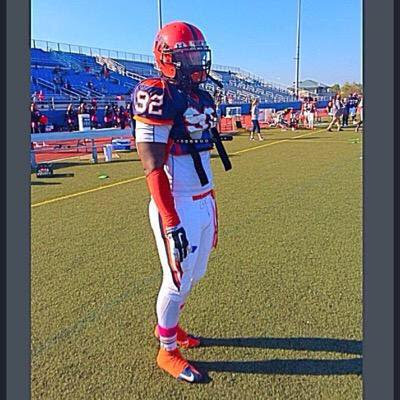 Larnel Coleman is a 6-7 250 pound DE/TE from Medford, MA. NCSA Sports has his recruiting profile. Zuriel Davis is a 6-5 315 pound DT from Jacksonville, FL. 247 Sports says he committed to UMass yesterday. Played in the Blue-Gray Bowl January 16th. Andrew Ford is a 6-3 215 pound QB from Lackawanna Community College. Originally a member of Virginia Tech’s 2014 class, Ford redshirted his initial collegiate season before transferring to Lackawanna last summer. In his redshirt freshman season there, Ford went 110-of-195 (56.4 percent) passing for 1,764 yards and 23 touchdowns to six interceptions. Since the conclusion of Lackawanna’s season, Ford has seen strong interest. Colorado, Pittsburgh, Arizona State and others showed initial interest and more have come in since Iowa State offered last week. Ford holds an offer from Iowa State. Sam Franklin is a 6-2 200 pound WR from Inverness, FL. I've blogged about him before. Franklin originally signed with the Minutemen in 2015. 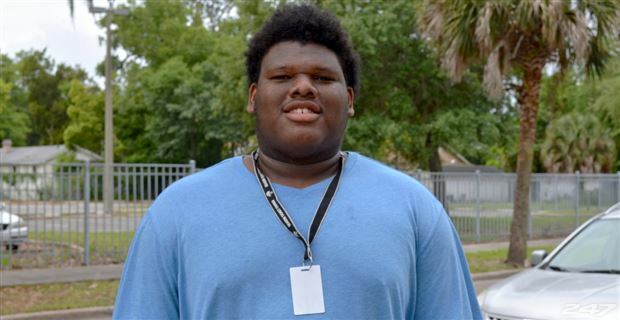 247Sports had him the highest-rated recruit in that class. He ended up playing one year at East Coast Prep. Hudl.com has East Coast prep highlights. Martin Mangram is a 5-11 180 pound Athlete from Buford, GA. I've blogged about Mangram before. Mangram has fourteen FBS offers. Also brother of UMass DB Brandon Mangram. Martial Washington, is a 6-1 207 pound Safety from Riceboro, GA.
Washington has a soft commit to Georgia Southern. Tucker also holds an offer from Temple. Scout HS Alabama reports UMass has offered to T.J. Rayam, a 6-1 290 pound DL from Alabaster, AL. This article from July of 2015 features Rayam. So far, UMass is Rayam's only FBS offer. 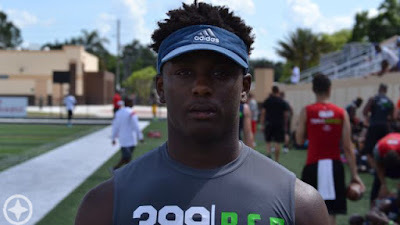 I've blogged about Bakhari Goodson, a DB from Orlando, FL three times before. On behalf of Ryan Bamford, Coach Whipple and our athletics staff, we invite you to be our guest and part of an in-house audience for a live-streamed show officially announcing the incoming football class. The signing class of '16 looks to be the highest-ranked class since the Minutemen moved to FBS level! The lunch and show begin at 11:30 a.m., Wed., Feb. 3, in the Hunt Room at the Football Performance Center. You must RSVP to Jason Germain at jag@admin.umass.edu or call 413-545-4290 in order to secure a seat at the luncheon. Dan Malone reports Tajae Sharpe is out of the Senior Bowl with a quad injury. Yesterday's reports had it as a hamstring, but whatever the cause, it appears he's out. Rotoworld has a post on Sharpe's withdrawal from the Senior Bowl. 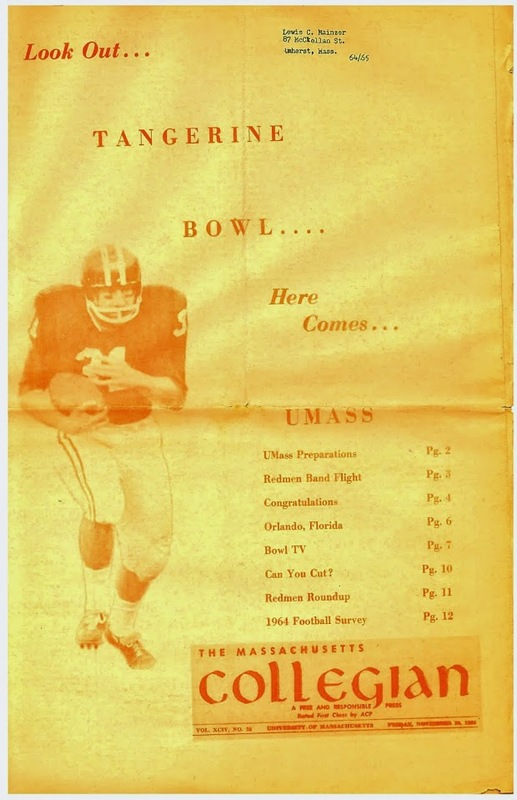 Dan also has a post on The Hanger, which sees its fortune wax and wane with the number of wins UMass athletic dept provides. 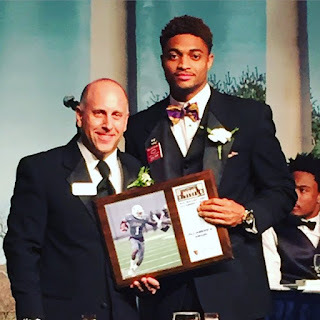 The Dallas blog "Blogging the Boys" has a long post on Tajae Sharpe. BC Interruption ranks the Eagles 2016 games including UMass at Gillette. UConn loses its athletic director. Last week or so the UMass football Twitter feed said two Minutemen players will complete for UMass track this spring. 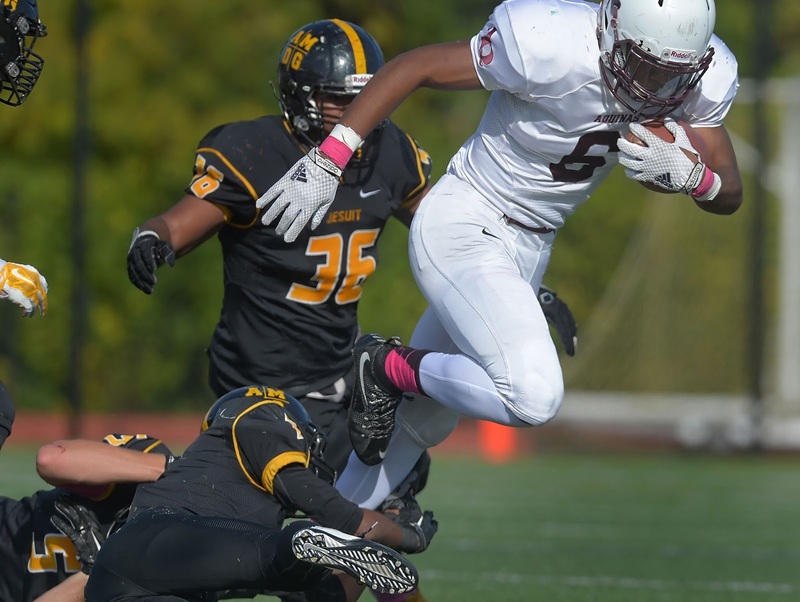 The other was RS FR Jon Derolus, a 5-11 174 pound WR from Brockton, MA. I don't think I've blogged about him before. 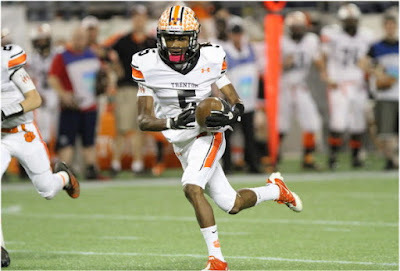 Hudl.com has senior highlights and reports a 4.37 40. Averaged over 13 yards/carry against BC High back in 2014. Multiple news sources say Sharpe was injured in practice yesterday and will not play in the Senior Bowl. A construction crew finds ice age fossils in Oregon State's Reser Stadium. 2016 opponent Louisiana Tech completes next year's schedule. UMass will meet the Bulldogs again in 2019. The Shreveport Times previews the 2016 Tech team. Tech went 9-4 in 2015 including a blowout win over Arkansas State in the New Orleans Bowl. Three players UMass was recruiting have signed with other schools. Caesar Williams signs with Wisconsin. 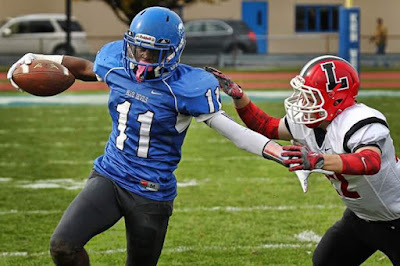 K.J Gray verbals to Rutgers. Andre Mintze commits to Vanderbilt. I've blogged about UMass verbal Bakhari Goodson a couple of times before. 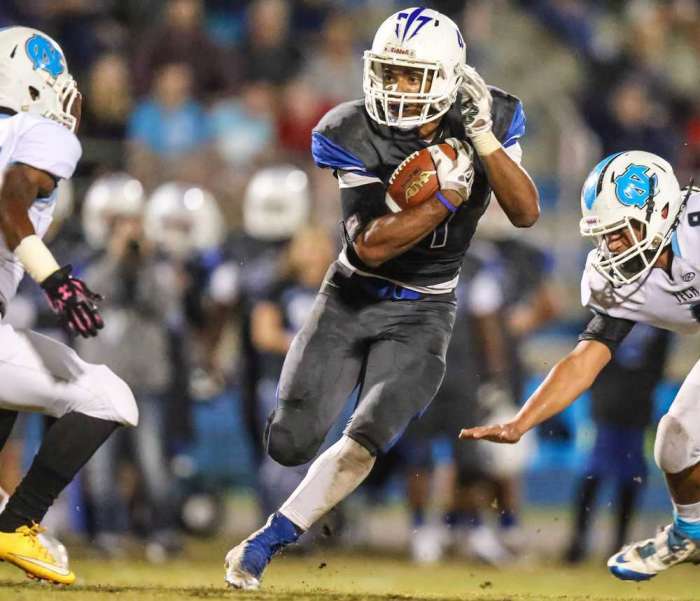 This article by the Orlando Sentinel features Goodson's verbaling to UMass. UMass will have a LOI Day event next Wednesday at the Performance Center.There will be live streaming video for the UMass diaspora. I'll probably go and take some images. Dan Malone has a post (with lots of images) about Tajae Sharpe lookin' good in the Senior Bowl practices. Another article on the Senior Bowl practices. This article says Sharpe looked good in the first day of practice. A Sports Illustrated article ranks Sharpe #7 in the WR's at the Senior Bowl. This Chicago news station writer has a favorable impression of Sharpe. BC Interruption says the Eagles will have a "home" game against UMass at Gillette. Campus Insiders says BC should watch out for UMass. Fan Sided says cut, trade or restructure Victor Cruz? Orlando.com reports UMass is recruiting Rayshad Lewis, a 5-9 165 pound DB from Orlando, FL. This article features Lewis and talks about his recruiting visit to Utah State. Mentions UMass. This article from October 2015 features Lewis. Dan Malone has a post on the four verbals UMass received last weekend. Bob McGovern also has an entry on the four verbals. A New York Sports writer comments on Syracuse pulling Riggins' scholarship offer. A Syracuse blog talks about the players who have flipped their commits from the Orange to other schools. The piece mentions Tayor Riggins and Sadiq Palmer to UMass. This article from September 2015 features Charly Timite. I finally got to watch the East-West Shrine game in it's entirety last night. Not a lot to comment on. Tajae Sharpe didn't have a single ball thrown his way. He made a nice tackle on special teams, but that was it. Blake Frohnapfel was in for a couple a series. He under threw a pass for a INT. However, he had three drops which would have helped his numbers a lot. Former UMass assistant coach Bill McGovern has been hired as linebackers coach for the NY Giants. A BYU Blog compares the Cougar's recruiting results with other teams on their 2016 schedule including UMass. Don Brown's contract with Michigan is worth $2.7 million over three years. Quotes from James Ihedigbo. CBS Sports says college QB's are moving around at a record rate. The Minutemen had a good haul from this weekend's Optimus Prime recruiting weekend. Matty Vautour reports four recruits verbaled to UMass. I've blogged about all four before. Links are to the relevant posts on this blog. Sadiq Plamer, 6-3 185 pound WR. Taylor Riggins, 6-2 214 pound Athlete. Charly Timite, a 6-3 256 pound DE. Bakhari Goodson, a 5-8 156 pound DB. Bob McGovern reports on Timete's and Palmer's verbal. I don't think I linked to this article on Charly Timite previously. By my count, that makes 20 verbals for 2016. 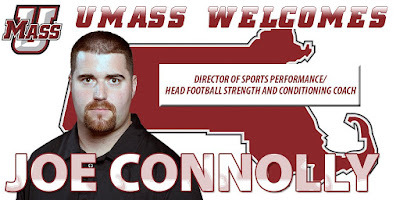 UMass names Joe Connolly as football strength and conditioning coach. Dan Malone has a post on Connolly's hiring. This article from 2014 says Connolly wants to prepare his players for the NFL. This link has an 18 minute video interview with Coach Connolly about strength conditioning for football players. Dan Malone reports Tajae Sharpe and Blake Frohnapfel had a quiet game in Saturday's East-West Shrine game. Both Dan Malone and Matty Vautour have stories about Tajae Sharpe being added to the Senior Bowl. Former UMass player Mike Dawson has been named defensive line coach at UCF. 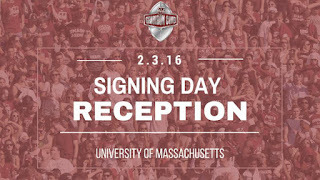 Bob McGovern has a post on UMass' recruiting weekend event. I've blogged about most of the attendees. Cut-and-paste from McGovern's article. Links are to my coverage in the blog. Antoine Brooks is a 6-0 205 pound athlete from Duval HS in Maryland. 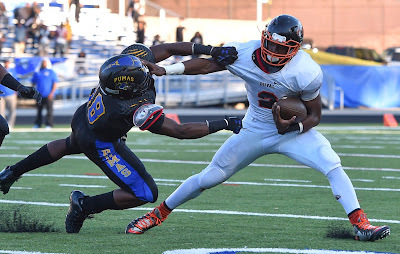 Hudl.com has lots of video. Suffered a compound fracture of his leg in October. This article also covers his injury. Jesse Britt is a 5-10 177 pound athlete from Auburndale, FL. 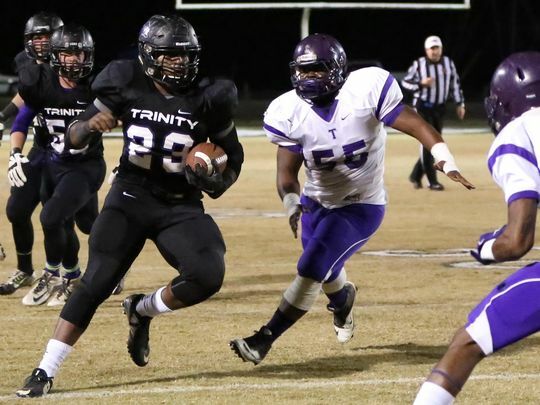 Britt has three final schools and is going to take a close look at each before deciding. “Right now, I’m looking at Arizona, University of Massachusetts and Western Kentucky," he said. "I like all three of those places and I’ve got a decision to make. Chris Tooley is a 6-0 180 pound DB from Oak Ridge HS in FL. This article from June 2015 features Tooley. Shakur Cooper is a 6-0 200 pound OLB from Orlando, FL. This article from his junior season features Cooper. 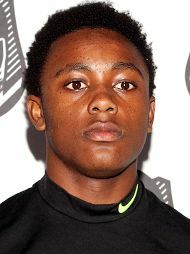 Bakhari Goodson is a 6-0 170 pound DB from Wekiva HS in FL. Antoine Webster, a 6-0 185 pound DB/Athlete from American HS in Florida. Jordan Young is a 6-3 210 pound dual-threat QB from Coatsville, PA.
Dan Malone reports Liam Coen is leaving UMass to be offensive coordinator at Maine. Liam was rumored to be in the mix for HC at Williams. FCS is a significant jump from DIII. 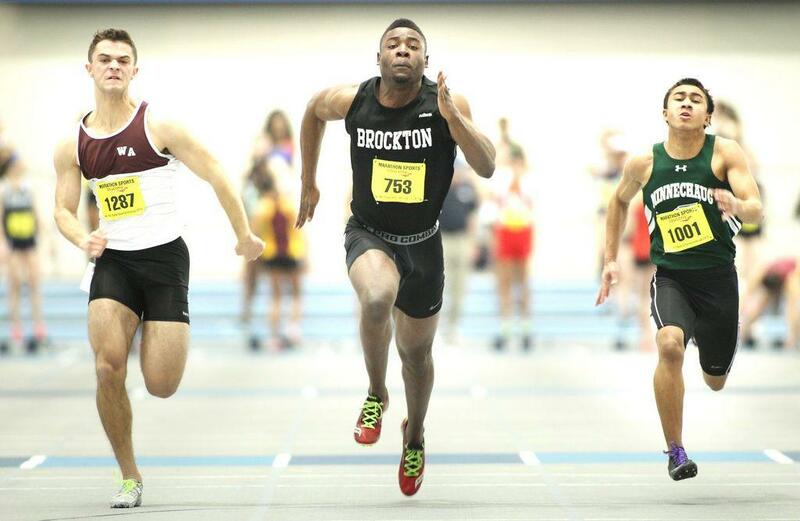 Dan also has a post on six early signees joining the Minutemen this spring. Matty Vautour also has a post on the six. The East-West Shrine game is today. Set your DVD and hope Tajae Sharpe and Blake Frohnapfel have a great game. Tajae Sharpe get a positive review in this practice recap. A Vikings fan site looks at Tajae Sharpe as a potential draft pick. Navy's Keenan Reynolds has been switched to RB for the Shrine game. The Orlando Sentinel reports UMass is the first college to offer to James Brown, a 6-3 207 pound pro-style QB from Jones HS in Florida. I've blogged about Cycoby Burch, a 6-1 185 pound DB from Orlando Oak Ridge HS in Florida, a couple of times before. The Orlando Sentinel reports Burch has been chosen to play on Team USA in the 2016 International Bowl. Burch, a 6-foot-1, 185-pound defensive back who can play strong or free safety, is ranked No. 37 in the Sentinel's 2016 Central Florida Super60 and he is the No. 78-ranked safety in the country by 247Sports.com's composite rankings. He is a physical player who likes to come up on the run and also loves blitz packages, which will be a big plus in the UMass scheme. Information about the International Bowl here. Matty Vautour has a post on Tyrell Smith's decision to declare for the NFL Draft. Good that he's going to stay on campus this Spring and finish his degree. And then there is the matter of Tajae Sharpe's hand's. One of the banes of existence in modern life (if you've ever worked) is the hiring of experts, analysts and various management types. It would be better for the organization if they stayed at their desks and played solitaire all day, but many feel obligated to actually do something. This ends up causing a lot of trouble when something that really doesn't matter becomes a big deal. NFL (and sports analysts in general) fall into this category. A guy who's played for five other NFL teams is suddenly better than the guy you've got. Remember last year? Scouts were floored by Jean Sifrin's 20-inch hands. He ended up not even getting to training camp. Sharpe is a football player. He'll catch a lot of balls for a NFL. Don't let an irrelevant stat get in the way of drafting an outstanding player. RotoWorld says Sharpe was the toughest matchup for DB's at the Shrine Game's practices. Insidenova.com says Blake Frohnapfel looks to impress NFL teams at the Shrine Game. The Chicago Bears meet with Tajae Sharpe. 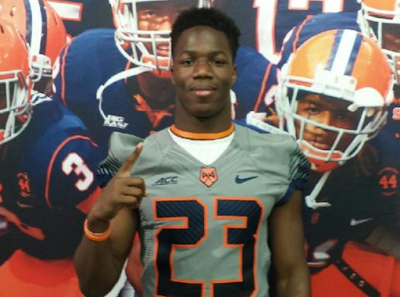 Syracuse.com reports Taylor Riggins, a 6-2 213 pound RB/OLB from Rochester, NY has decomitted from the Orange. Story here. The article says Riggins will take a UMass visit this weekend. Besides UMass, Riggins is drawing interest from Cal. Yesterday I posted a piece on seven UMass players leaving the program. A number of them would have been fifth-year seniors. Both Dan Malone and Bob McGovern have an article on Tyrell Smith, who declared ed for the NFL draft. Some classy quotes by Smith as he prepares for the draft. All UMass fans wish him luck. Bob McGovern also has a post on A.J. Doyle's journey. Again some classy comments by Doyle praising Coach Whipple and UMass. A.J. certainly "took a couple for the team" during his stay at UMass. Mrs Blog and I attended the 2013 game at Vanderbilt and A.J., operating behind a makeshift offensive, line took a number brutal hits. He hung in there as he always did. NFL.com has some observations from day three of the Shrine game practices and mentions Tajae Sharpe. A Philadelphia Eagles fan site mentions Tajae Sharpe in five NFL draft prospects. RealGMPractice says Sharpe has had a great week at the Shrine practices. 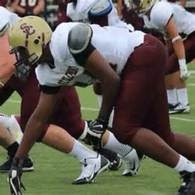 Bob McGovern reports Raquan Thomas, a 6-6 340 pound OL from Philidelphia, PA has verbaled to UMass. I've blogged about Thomas before. Dan Malone also has a story on Thomas' verbal. EastPAfootball.com has a bio on Thomas. How tough is Thomas? He was shot five times in a 2013 incident and returned to play football the next year. This article from Philly.com has some nice comments from Thomas, especially the last paragraph. UMass was Thomas' only offer, but he drew interest from most FBS Northeast schools. Both Matty Vautour , Dan Malone and Bob Mcgovern have posts on seven UMass players leaving the program. Several of the players would be fifth-year seniors and probably graduated. Only one starter left: Tryell Smith who started at left tackle for most of the last two years. The last two-deep depth chart had Tyshon Henderson, a 6-6 SR (2016) as the backup. Lorenzo Woodley had 10 rushes for 36 yards. Shadrack Abrokowah had 11 rushes for 77 yards. Daiquan Kelley was a transfer and probably not a scholarship player. Sharif Custis had 6 receptions for 76 yards. A.J. Doyle had no stats. Chris Carter had 3 UT 8AT 11 TT. His leaving makes a rather thin Minutemen DL thinner. I want all UMass players to do well, but only Smith and Carter would have had any significant future playing time. Dan Malone has a story about Tajae Sharpe and Blake Frohnapfel at the East-West Shrine game. Matty Vautour reports Blake Frohnapfel is going to stay at UMass and finish his degree instead of attending a NFL physical-training program. This article from Football Insiders mentions Tajae Sharpe. This article from SB Nation also covers Sharpe. I've blogged about Leon Flanagan, a 6-3 195 pound OLB/DE from Staten Island, NY a number of times before. This article by SILive.com talks about him joining the Minutemen for the Spring Semester. Several sources report Peytton Pickett, a 5-10 194 pound RB from Arlington, Texas has verbaled to UMass. I've blogged about Pickett before. Bob Mcgovern has a post on the commit. Was All-District First Team Offense. Chose UMass over offers from UTEP, Kansas and SMU. RotoWorld talks about Tajae Sharpe going up against top corners Brian Poole (Florida) and D.J White (Georgia Tech) during the Shrine game. Rotoworld also has Sharpe the #2 WR in the Shrine game. Blake Frohnapfel will also be playing in the Shrine game. 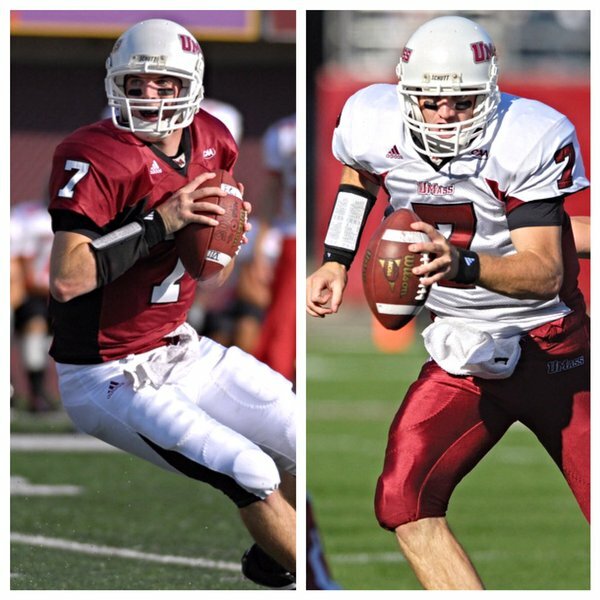 Both the East and West squads will have QB-WR combos from college. Lindy's Sports covers the Shrine Game and mentions both Frohnapfel and Sharpe. NFL.com reports from the Shrine Game practice. Rant Sports say Victor Cruz must restructure his deal with the Giants to stay with NY. Victor still has cool sneakers. Several recruiting services report UMass has offered to Hamp Cheevers, a 5-10 165 pound DB/Athlete from Trenton, FL. This article says his final five are UMass, Buffalo, Idaho, Kansas and Marshall. MaxPreps has stats. Note the 11.4 yards/carry in rushing. First Team All-Florida Class 1A. Cheevers holds eleven offers including six from FBS. Tajae Sharpe at the Walther Camp All-American dinner. In its final 2015 power rankings, the Jacksonville Times-Union has UMass as #105. UMass 2016 opponent BYU has a new HC. He inherits a veteran team and a tough schedule. Wonder what he'd think of playing three SEC opponents? South Carolina, the Minutemen's October 22nd 2016 opponent may start a freshman QB. I've blogged about K.J. Gray, a 6-1, 190 pound WR/DB from Jersey City, NJ before. This article by Scout.com says his final three are UMass, UConn and Rutgers. Gray decommitted from BC in December. 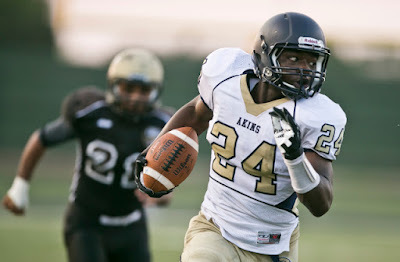 Bob McGovern reports Tyler Thompson, a 5-11 180 pound RB from Oakhurst, NJ has verbaled to the Minutmen. 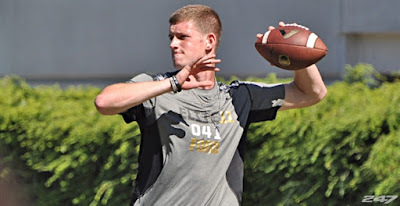 Dan Malone has an article on the commit here. The Ashbury Park press has a post on his signing here. This article from April 2015 details his recovery from a broken leg. Chose UMass over offers from Syracuse, Old Dominion, Boston College, Virginia, Pitt and Virginia Tech. Tajae Sharpe will named to the 126th Walter Camp All-america Team this weekend. Medical staff at college football teams will now have the final say on concussions. CBS Sports has UMass #111 in its final college football rankings. Post Game.com points out college football can learn from the demise of newspapers. 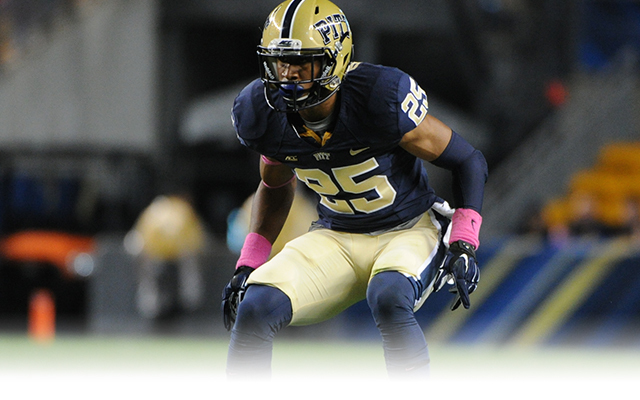 Both Bob McGovern and Dan Malone report UMass has added Patrick Amara Jr, a 6-2 195 pound DB as a transfer from Pitt. Per NCAA regulations, he will have to sit out a year and will be eligible in 2017. This story from ESPN tells about Amara's long journey to a college football scholarship. This article also features Amara. The UMass Football feed says former UMass QB Scott Woodard returned to UMass as a graduate assistant in 2015. Woodward's UMass player bio. His current graduate assistant bio. Dan Malone says UMass will have to wait it out to see if the Big Twelve expands. Former UMass player David Thompson will not return as HC for Amherst HS. Blake Fronapfel is one of three QB's on the East Squad for the East-West Shrine game. 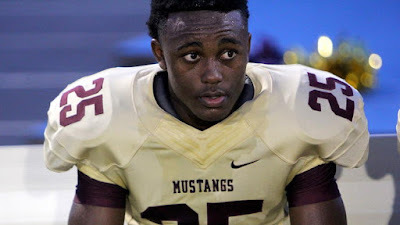 Bob McGovern reported a couple of weekends ago UMass has offered to Peyton Pickett, a 5-8 183 pound RB from Arlington, TX. Rivals.com has him as a two-star player. 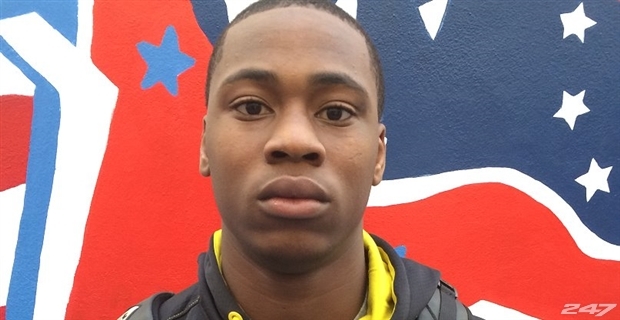 Besides UMass, Pickett holds offers from UTEP, SMU and Kansas. Rutgers changed coaches and so far they have eight decomitts. That includes a highly-rated pro-style QB Anthony Russo. I have a link for those players who had a UMass offer or interest prior to signing with Rutgers. Russo is rumored to be interested in LSU or Pitt. Russo is the eighth player to decommit from Rutgers' recruiting class of 2016 following Nassau (Garden City, N.Y.) offensive tackle Malcolm Pridgeon and Venice (Fla.) defensive tackle Jarrod Hewitt, as well as Poly Prep (Brooklyn, N.Y.) linebacker Elias Reynolds, West Catholic (Philadelphia, Pa.) defensive tackle Tymir Oliver, Grand Street (Brooklyn, N.Y.) wide receiver Ahmed Bah, South Brunswick (Monmouth Junction, N.J.) safety Phil Campbell and Poly Prep (Brooklyn, N.Y.) offensive tackle Justin Morgan, who flipped their pledges following Flood's firing. Former UMass player E.J. Barthel who was a recruiting assistant with the Scarlet Knights,was let go when Rutgers changed head coaches. Bleacher Report breaks down Florida's offseason QB battle. It looks as if the Big 12 will not expand. That, in turn means there won't be an open slot in the Group-of-Five conferences for UMass. 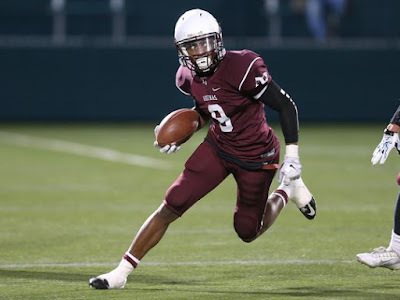 Bob McGovern reported a couple of weekends ago Earnest Edwards, a 5-10 170 pound WR/Athlete from Rochester, NY has added an offer from UMass. A 67-yard TD by Edwards made MaxPreps Top 10 plays of 2015. Besides UMass, Edwards holds an FBS offer from Buffalo. Would the Big-12 invite Temple football? A 247Sports writer looks at South Carolina's 2016 schedule. Florida makes the final 2015 Top-25 poll. Boston College changes their OC. New Tulane HC Willie Fritz announces his coaching staff. Pro-style Tulane QB Tanner Lee announces he will leave Tulane. Underdog Dynasty reviews FIU's 2015 season. UMass and Boston College get a D+ in final 2015 grades from USA Today. Special thanks to a blog reader who pointed out to me Zach Cannon, a 6-4 270 pound strongside defensive end from Nassau C.C. verbaled to UMass yesterday. 247Sports has Cannon as three-stars. Last weekend, Cannon and his teammate, Ali Ali-Musa, took an official visit to UMass and the big and versatile defensive lineman came away impressed. 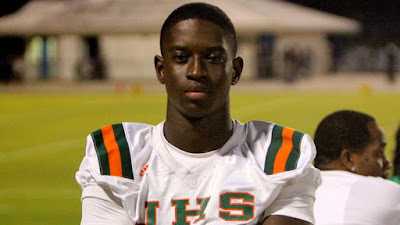 "My visit was great," Cannon told JCFootball.com this past week. "I really enjoyed the academic aspect about the school. The coaches and players also showed me a lot of love and seem very interested about getting me on the field right away. "They did a great job of almost reeling me in, but I decided just to wait on some things and see how things go this year." This article about Holy Name coach Mike Pucko mentions former UMass players DL Brandon Potvin andTE Emil Igwenagu. Now that UMass is out of the MAC, Buffalo will play Albany this year. Bowling Green's Roger Lewis will forgo two years of college eligibility and declare for the NFL draft. 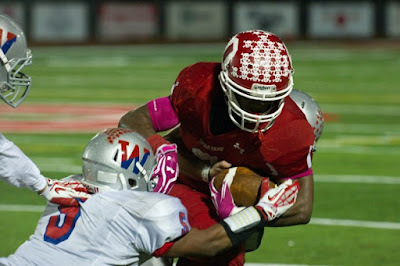 Lewis went 8-142 1 TD 68 LONG against the Minutemen on October 10th. Alabama won the FBS National Championship again. OT, but John Calapari's price for returning to the Nets is $120 million. Several recruiting services indicate UMass is interested in Sadiq Palmer, a 6-3 185 pound WR/Safety from Red Bank HS in New Jersey. Verbaled to Syaracuse, but the Orange pulled his offer. Palmer holds an FBS offer from Old Dominion. He will visit UMass on January 23rd. Former UMass player John Griffin has joined the athletic performance staff at Baylor University. Florida, UMass' opener in 2016, continues with facility renovations. Speaking of Florida, the alligator looks at gator players to watch in 2016. Florida also has one of the top-ranked mascots. Mike Neu replaces Larry Lembo at Ball State. Most fans think they could coach college football. Rich Rodriguez shows why they can't. One offshoot of the new college playoffs is championship rings that look like the NFL designed them. Speaking of amateur coaching, I think players who take part in really cold weather games like the Vikings-Seahawks game, should gear up. If you play football, you are by definition, tough. Any mental energy a player expends dealing with the weather, takes away for that used for playing his position. If I were coach, I'd tell my players to dress warm enough so that they don't have to think about the weather. 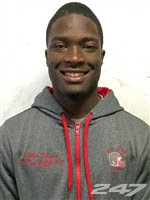 I've blogged about Tedrick Lowery, a 6-0 225 pound Safety from Tyler CC a couple of times before. The Austin Statesman has a story about Lowery signing with the Minutemen. Several sources say UMass has offered to K.J. 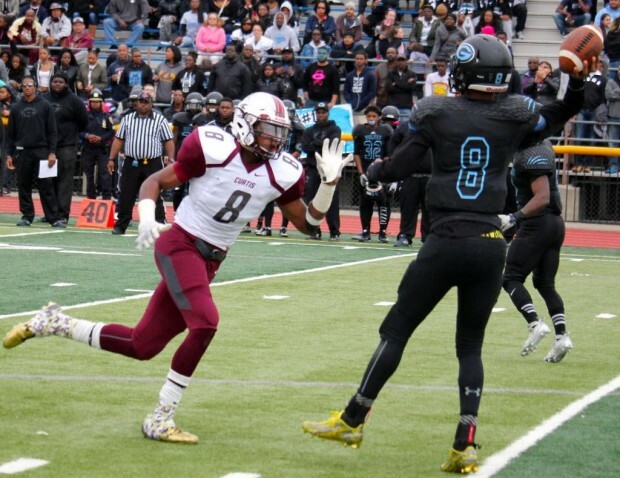 Gray, a 6-1 195 WR from St. Peter's Prep in NJ. NJ.com reports Gray decommited from Boston College and has reopened his recruiting. NJ.com has another story about Gray and mentions Coach Whipple and Coach Sollazo will visit Gray next Friday. Rutgers and UConn are in the mix also. UMass has a post about recruits Flanagan and Reilly joining the Minutemen for Spring semester. Bob McGovern also has a entry about Flanagan. Former UNH coach Bill Bowes is inducted into the College Football Hall-of-Fame. BC Interruption has some quotes by Jimmie Reid about joining the Eagles. Eletesportsny.com says its time for the Giants to cut Victor Cruz. 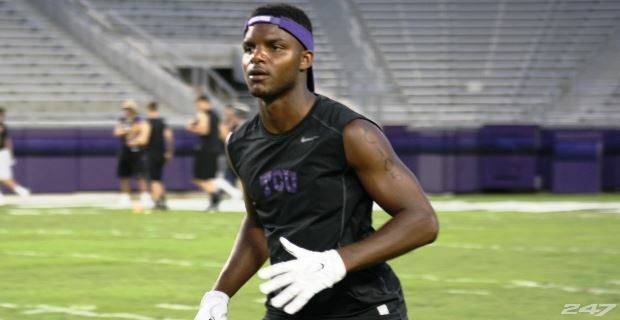 247Sports says Cruz will have to take a pay cut to remain a Giant. The Macomb Daily Sports reports James Ihedigbo may not return to the Lions. I've blogged about Leon Flanagan a number of times before. Bob McGovern reports the 6-3 195 pound OLB has become the fourth member of the Minutemen's early signing class and will take part in Spring football. Since my last post on Flanagan, Hudl.com has added his senior highlights. 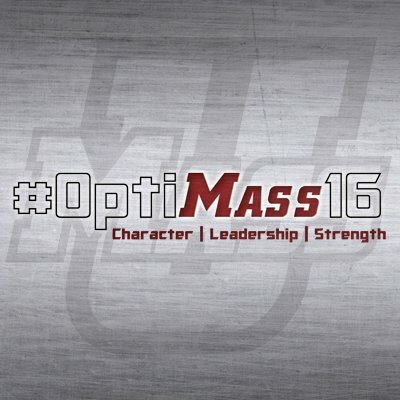 Bob McGovern reports that UMass' recruiting event on January 23rd has been dubed "Optimus Prime". Here's hoping UMass signs some outstanding recruits. Former UMass LB Anthony Rouzier has returned to UMass as a graduate assistant. Rouzier won letters in 2007 and 2008. His teammates on the 2008 team included future NFL players Victor Cruz, Vladimir Ducasse, Jeromy Miles and Jeremy Horne. The Boston Herald reports Jimmie Reid will be Boston College's new defensive coordinator. Todaysu.com has a post on Reid's appointment. BC Interruption says expansion and realignment will be center stage at next week's NCAA convention. Recruiting sources report there is mutual interest between UMass and Terrell Ford, a 5-11 181 pound RB/Athlete from Buffalo, NY. This article from expandedsports.com features Ford. Ford is two-time Army All American Combine invitee. He was All-State in both football and basketball. Averaged eight yards/carry in his senior season and 30 yards/reception. Had 2,000 all-purpose yards, 30 TD's 71 tackles and 6 INT's. 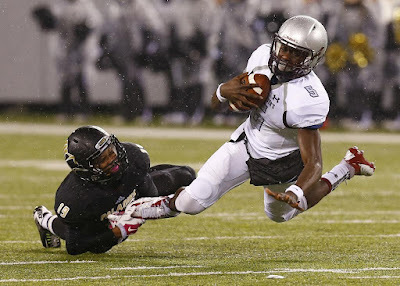 Drawing interest from a number of FBS teams including Temple and Buffalo from the Northeast.